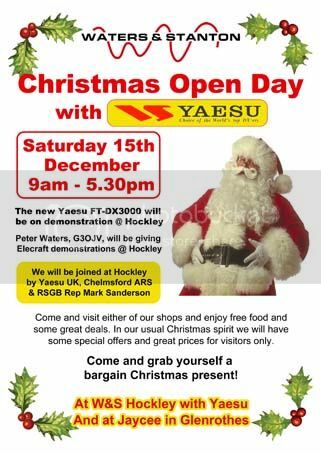 The W&S Christmas Open Day is only a month away! 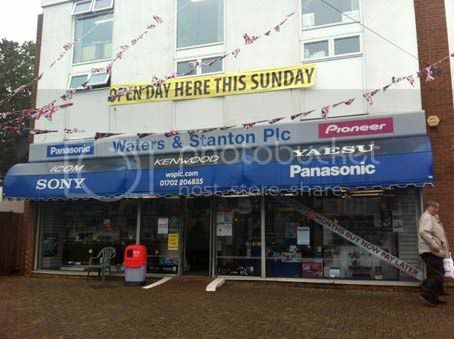 This Saturday is Jaycee Electronics Annual Open Day, and as always Bill, Betty and Scott will be on hand to offer you a warm welcome. 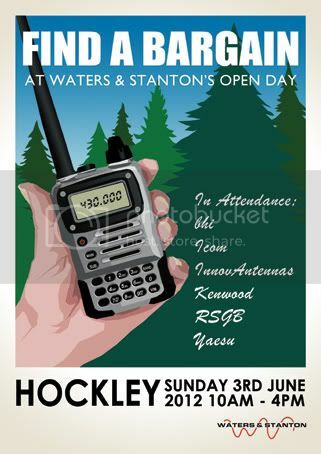 Mark Francis and Peter Waters from our Hockley will also be there to help you with all your Amateur Radio questions and will also be giving lectures along with Justin Johnson of InnovAntennas. 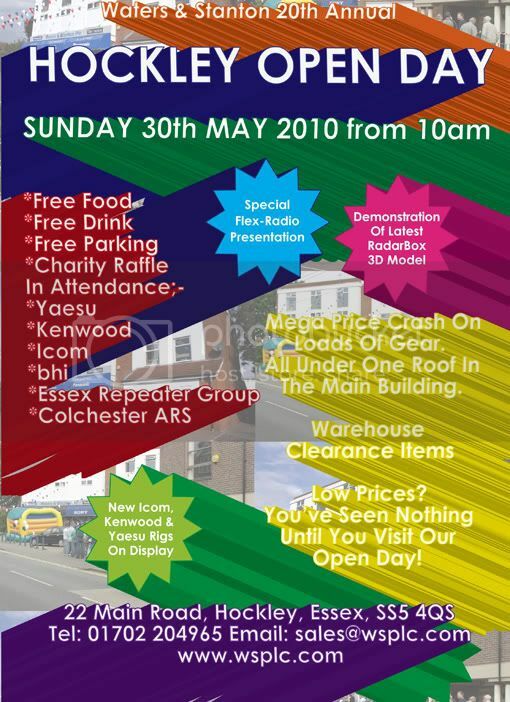 There will be free street parking, free food and drink and a fantastic charity raffle with prizes worth over £1,110 that only costs £1 to enter! A big thank you to all who came and made our 22nd Annual Open Day a big success, despite the rain! Customers, Manufacturers, Groups & Staff made it a day to remember, and was great to see so many familiar faces and some new ones too. We’ll be putting up more pictures later this week, in the meantime, here are a couple of excellent reports from LEFARS & EssexHam.co.uk both with some great pictures, thanks! 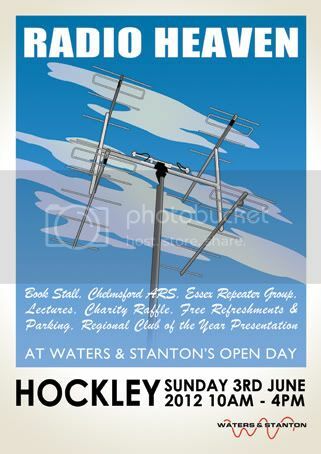 Justin, G0KSC, of InnovAntennas, gave an interesting talk on VHF and UHF antennas during our Open Day on the 3rd of June. Introduced last year, these short talks are proving very popular. Justin explained in detail, the basics of his new antenna designs and the benefits. As well as some very interesting technical detail, listeners were impressed with how quickly the ham world has recognised the benefits of the unique designs. Justin explained his professional, and expensive, software that has been used to model the antennas. It raises the interesting question as to whether some classic designs of the past, do really achieve their claimed performances. 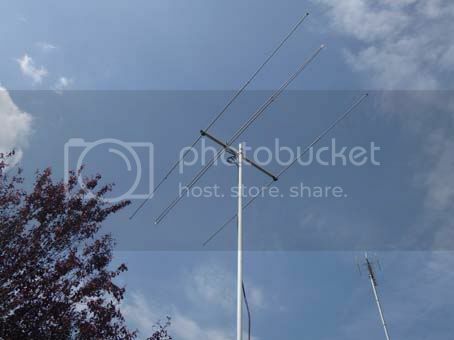 For our part, we are pleased to have been selected as the UK reseller for InnovAntennas and will be happy to deal with any technical questions. 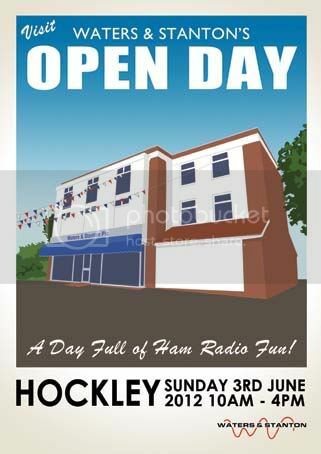 On Sunday, 3rd June at Hockley from 10am – 3 pm, we have our annual Open Day. For visitors, there will be ten percent discount, right across the board on most equipment, that also includes TVs. Imagine walking away with that brand new rig or antenna at a price ONLY AVAILABLE on Sunday. If you cannot make the trip we can take orders by phone but we may not answer as quickly as normal due to a busy shop, so be patient! DON’T MISS OUT – THIS IS A ONCE ONLY OPPORTUNITY. 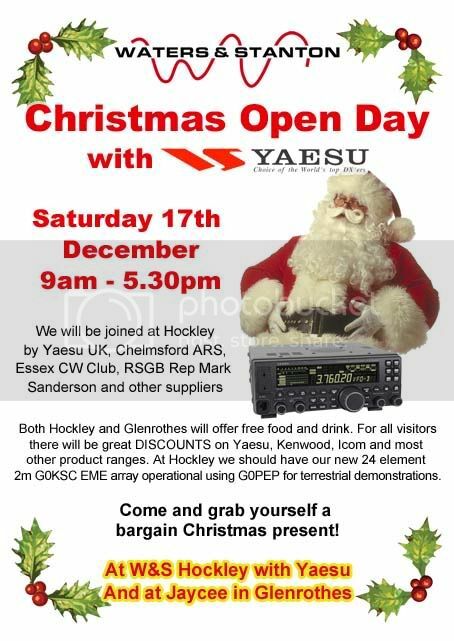 Ailsa from Yaesu will be bringing the first Official FT-5000 in the country along to our Open Day on Sunday 30th May, and putting it on display for you to feast your eyes upon! Another exclusive for W&S!